"MOVE OVER RUDOLPH - RONALDO IS HERE TO STAY!" Ronaldo is the top flying cadet at the prestigious Reindeer Flying Academy. He dreams of getting his flying license and becoming one of Santa's reindeer, just like his hero, Vixen. In the first adventure in the Ronaldo series, the second year flying cadets face their toughest ever flying test – The Endurance Challenge. Will Ronaldo be victorious and lift the silver cup? Or will mean brothers Dasher, Comet and Prancer ruin his chance for success? 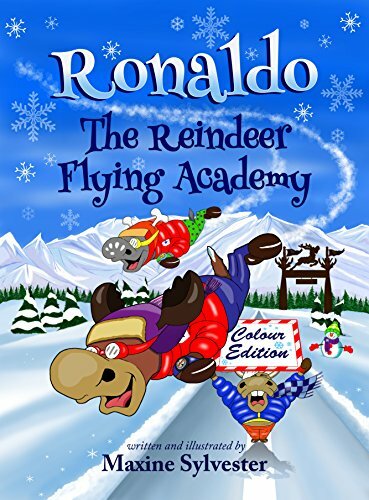 I don't have any children to read this book to, but that didn't stop me getting in the festive spirit by reading Ronaldo: The Reindeer Flying Academy. Not only is it written my Maxine Sylvester, she has illustrated it too with the cartoon style drawings adding something extra to the whole experience of the book. I loved reading about Ronaldo as he goes off to flying school but first he has to negotiate the obstacle course of Dad's cooking and then attempt to escape without being lumbered with wearing the latest embarrassing knitted hat from Grandad. Ronaldo gets teased in flying school by the other reindeers, although his good friend Rudi and his cousin Cupid are around to give him moral support. When The Endurance Challenge comes round everyone expects tough guy Dasher to win but Grandad taught Ronaldo to BELIEVE and we all know that when you believe, miracles can happen. 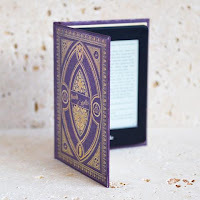 This is an absolutely delightful Christmas story for both young and old. Ronaldo isn't so much an underdog as an underdeer and we will all cheer for him as he pursues his destiny of becoming one of Santa's reindeer. I really appreciate you taking the time to write this lovely review.